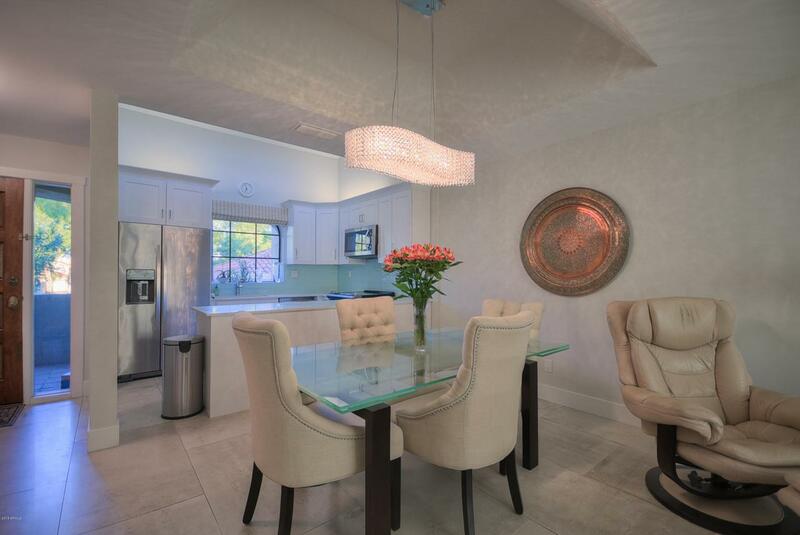 Resort-style living in prestigious gated Arizona Biltmore Community overlooking the golf course! 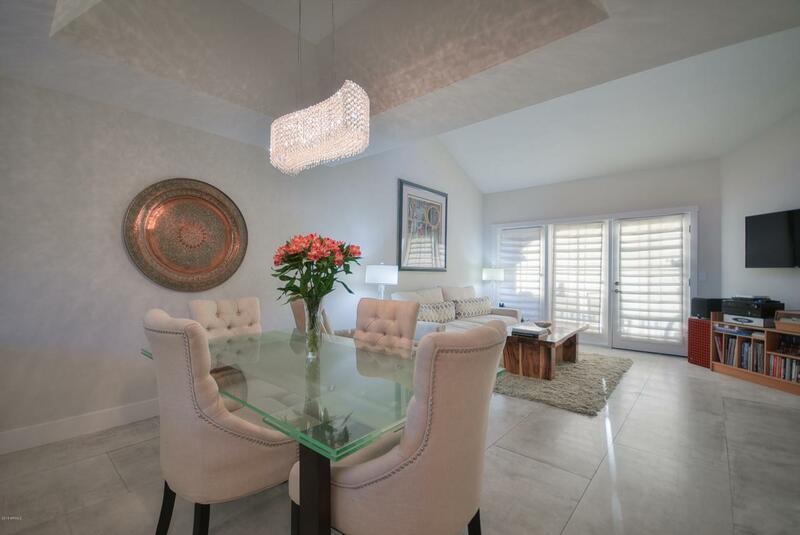 This contemporary condo has been completely remodeled and shows like a model. 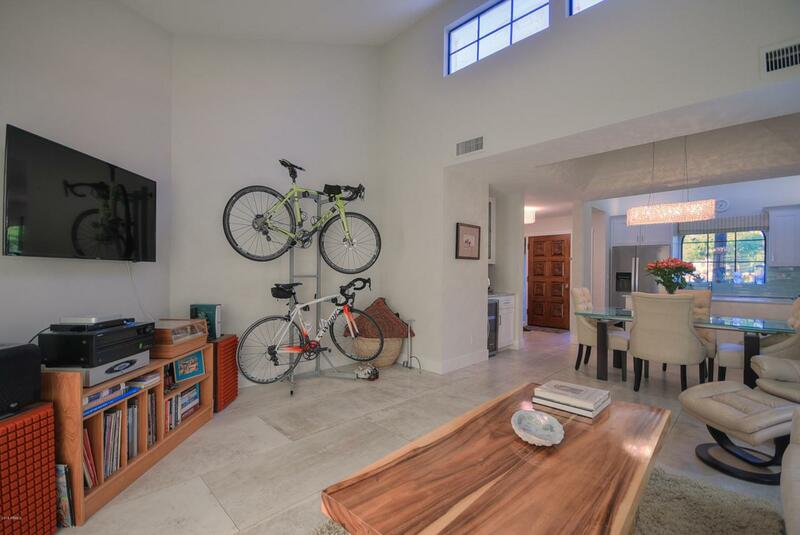 Open floorplan with high ceilings and skylights provide plenty of natural light. 2'x4' Italian porcelain tile throughout. 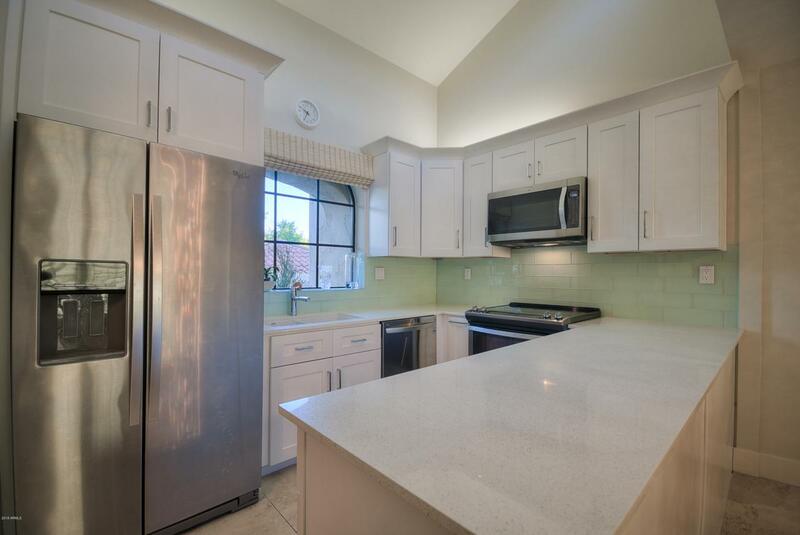 Modern kitchen with high-end cabinetry, quartz counter tops and stainless-steel appliances. Spa-like master bathroom with large walk-in shower, soaking bath tub, quartzite counter tops, double sinks and a walk-in closet and much more. Newer A/C and water heater. Gated community with mountain views, tennis courts, heated pools, spas, lake, golf course and a clubhouse. Walking distance to Biltmore resort, golf course, walking/hiking trails, shopping & restaurants. Resort-like lifestyle at its best! Listing courtesy of Key Factor Realty, Llc.